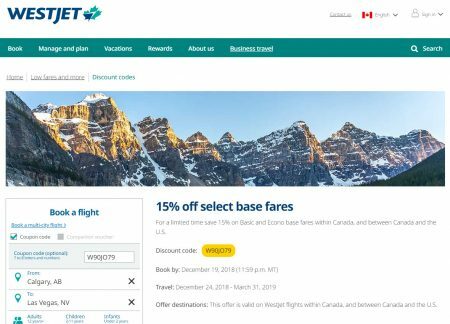 WestJet is offering a 15% off discount code. For a limited time, save 15% on Basic and Econo base fares within Canada, and between Canada and the US. You’ll need to enter discount code W90JO79 to get the deal. Offer destinations: This offer is valid on WestJet flights within Canada, and between Canada and the U.S.